OPEN Government Data Act – The Center for Organizational Excellence, Inc.
A new year has started with changes in legislation as new bills have been reviewed at both the Senate and House level. 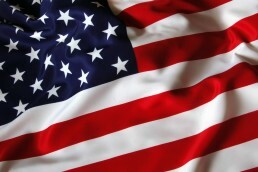 As we approach the end of the first half of the 2019 fiscal year, it is important to constantly review updates in legislation in an effort to serve federal agencies properly. It cannot be stressed enough that as laws change, it is possible that recommendations provided within a government consulting setting might also be affected. After all, if there is a change in rules and regulations or policies, consultants might not want to offer a possible solution that could involve violation of polices or laws. One of these laws that recently passed Congress is called the Open, Public, Electronic, and Necessary (OPEN) Government Data Act. This bill states that federal agencies shall publish their information as open data instead of posting it into isolated databases. Some of the background of this new legislation resides within former President Barack Obama’s Open Data Policy back in 2013, which sought to make federal information discoverable, accessible, and useful for the public. 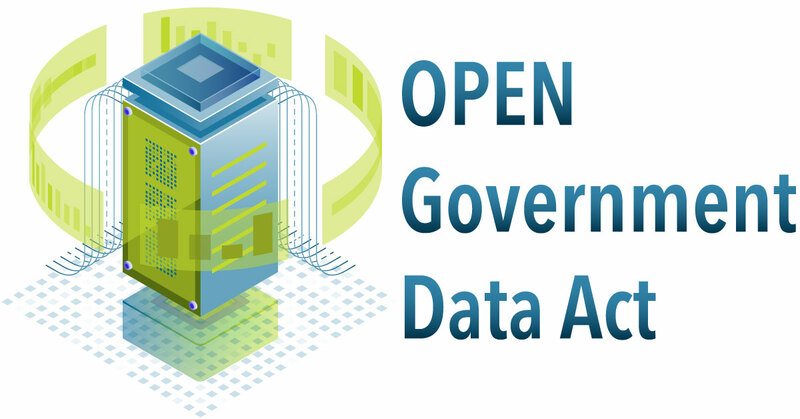 The OPEN Government Data Act makes key aspects of this policy permanent. In March 2017, a slightly modified bill was introduced in the House and Senate. In May 2017, the Senate Homeland Security and Governmental Affairs approved the bill for consideration in the Senate. However, in September 2017, this initiative was removed from the defense package. Therefore, the Data Coalition and other partners negotiated with the Senate to rethink this initiative to help pass the current version of the OPEN Government Data Act on November 19th, 2018. The bill successfully passed Congress on December 22, 2018. The bill requires federal agencies to: 1) publish and maintain data inventories on Data.gov, thus making these data inventories available to the public and 2) enable communication and assistance to the public with open data requirements. Part of the data inventories that involve sensitive unclassified or classified information shall remain non-public. Since privacy and security regulations still apply to certain types of information, it will be the agency’s responsibility to apply all checks before publicly sharing information. The bill also states that information shall be published under open licenses. This means that information should be available to the public at no cost with no copying, transmitting, citing, publishing, or distributing restrictions. The OPEN Government Data Act would not only enable more transparent management and publishing of data to the public, but also help identify opportunities to reduce waste of time and resources while increasing efficiency and effectiveness in data discovery—by publishing data in a public, easily-accessible database. 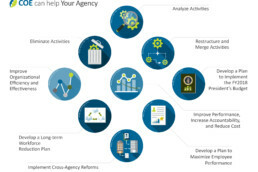 In addition, the OPEN Data Government Act seeks to maximize the usefulness of federal government data by consulting contractors, inter-agency project managers, auditors, journalists interested in presenting data-driven news, scholars and federal research teams who seek improvement in research and federal projects solutions, and federal staffers in charge of developing strategic plans for their agencies. 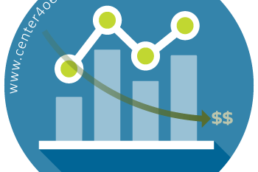 Develop a comprehensive data inventory, which is maintained and constantly updated. Determine what information shall be considered non-public before publishing. Ensure that access to the enterprise data inventory of the agency is consistent with laws and regulations. Develop an open data plan; this plan shall require new data collection methods towards open format. This plan shall also allow collaboration between the federal government and non-government entities in the understanding of the importance of government data assets. Respond to usability and quality control issues. Train and implement new technology; and analyze cost for new practices within the OPEN Government Data Act. Designate the Chief Information Officer (of each agency) to make sure data is available in Data.gov. and complete the data inventory no later than one year after enactment. Task the Chief Information Officer with leading data asset management, reviewing the agency’s open format best practices, supporting the production of data for performance improvement initiatives, reviewing information technology (IT) infrastructure for new open data policies and procedures, and identifying points of contact and responsibilities for implementation and outreach. Coordinate with other agencies to promote engagement and collaboration in data packages that may involve data produced by more than one agency. The OPEN Government Data Act will allow transparent, faster, and easy access to government data for future projects while promoting engagement and new ideas. Contractors should be able to access data-driven information at a faster rate from now on, without having to depend on the availability of agency staffers for such information. This increases productivity, efficiency, and effectiveness of overall work done for the government, from program evaluations and strategic planning collaboration, to IT solutions and government audits.